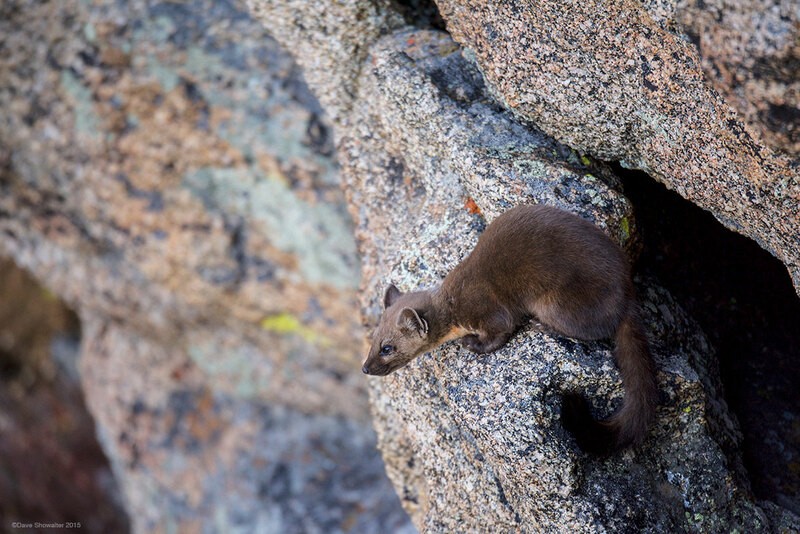 Considered a forest species, Pine martens aren't normally considered a high alpine species, but will go where prey is abundant. I first spotted this pine marten in near darkness, well above 13,000 feet with a vole in his mouth. Later in the morning, he looked out from a ledge over a few thousand feet of vertical, a crack in the stone providing shelter at the top of the Rockies. . Photo © copyright by Dave Showalter.